What is Marketing Automation and Why Do I Need it? Automation is one of the most important trends in the digital industry today. It allows you to operate more efficiently, and at the same time faster and more efficiently. What is the reason for such a great interest in this subject and is it really an ideal solution for everyone? Marketing Automation is a method of operation that facilitates the work of marketers through the use of tools to automate channels of reaching the customer (e.g. social media, content, email). This philosophy assumes integration of channels of access and use of declarative, transaction or behavioral data to personalize marketing. However, this is not a process for everyone – what is worth remembering before the implementation of automation? Marketing Automation – when you need it? In a narrower sense, Marketing Automation are tools that process customer data to optimize marketing and sales activities. These tools allow not only for process automation, but also for monitoring, analysis and segmentation of the offer. There are a lot of automation solutions, so do not be discouraged and look for the optimal ones for your business. The most popular activities are: dynamic advertising creations based on data (in various functions, e.g. reminders about an abandoned shopping cart), segmentation of e-mailings or product recommendations in the store. Before choosing a tool, one should understand the separate points of view of the customer and the seller – Marketing Automation helps e-commerce to improve sales processes, gain valuable contacts, and generally monitor the effectiveness of marketing channels. On the other hand, the client only sees the message that the seller generates, and an additional challenge becomes the phenomenon of information. If we ask ourselves “why should a customer notice my ad?”, Then the answer must be consistent with the language of our client’s benefits. Marketing Automation means that in a multitude of advertisements, a personalized message will break all barriers between the seller and the consumer. Using data from CRM or other databases, you can reach the client with a matched message (e.g. advertising of complementary products or similar to those viewed). 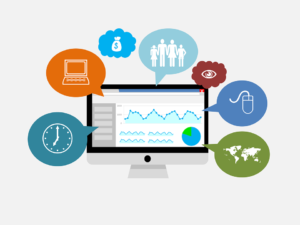 Accurate Customer Journey monitoring helps you locate a communication or sales process faster. The messages are tailored to the needs in such a way that they also use micro-, but also macro moments (thanks to this the consumer will probably not see bathing suit ads in December). When automation is a success and when does it fail? The greatest success of marketing automation is achieving better results (sales and image) by reaching customers in the best possible time. Predicting user behavior and responding to specific needs not only testifies to the effective knowledge of consumers, but also the perfect implementation of automation, which (literally) thinks that others will not have to. A process that ends in failure is usually based on very basic errors: financial maladjustment to expectations from automation, poor quality of the database. It is worth remembering about introducing new data and continuous cooperation between marketing and sales department: a tool that is not updated, works inefficiently. One of the failures, which seems to be obvious, is the inappropriate preparation of messages, and as a consequence, mechanically sounding communication, even sending spam. Automation allows you to send content that fits perfectly to different consumers (also to the psycho demographic profile), so not using this potential is a huge failure. Where to start the adventure with Marketing Automation? The best moment to start the activities is the moment in the life of the company, in which the sellers and marketers collected data that allowed to distinguish several client groups. This can go hand in hand with increasing the range of products in the store, creating new brands in the company, and also specifying the brand in such a way that even small user interactions with the content are important enough to help in the selection and finalization of the transaction.